Here is fun organic product that is great for any time of year- Ladybug Jane Flavor Balms! The organic vegan lip balm kids and adults will love comes in many delicious fruit flavors and is super nourishing lip care. 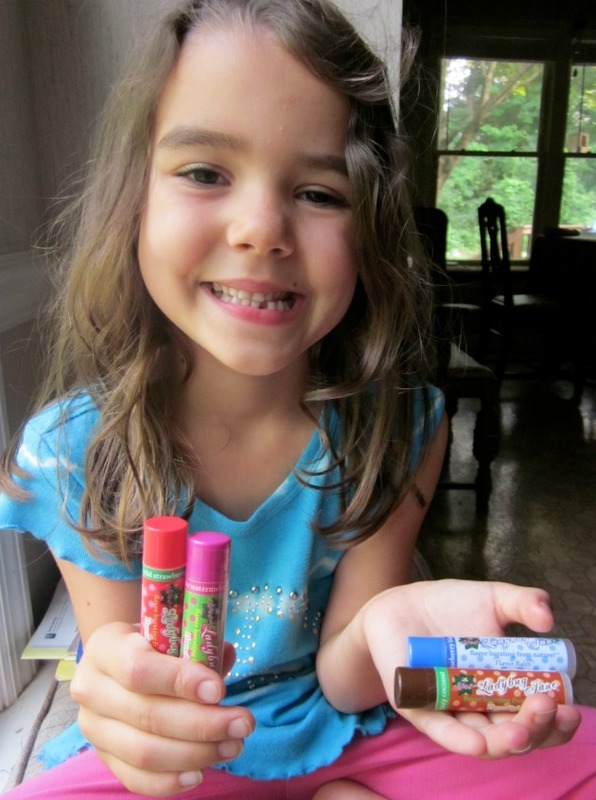 When Ladybug Jane studied chemistry and researched what was hiding in lip products she was shocked! Why were so many of her favorite fruity lip balms and lip glosses filled with chemically synthetic ingredients like Titanium Dioxide, Propylene Glycol? Citral, Limonene, Petroleum (made from crude oil), mineral oil, dyes like Blue 1 Lake? What is Benzyl alcohol doing in lip products? Do you know it’s linked to Neurotoxicity, Allergies/Immunotoxicity, Irritation (skin, eyes and/or lungs) according to the research done by Skindeep. Yuck! Don’t we all naturally lick our lips and therefore ingest these chemicals? So what was Ladybug Jane to do? There was only one solution > Create her own clean and natural brand. Ladybug Jane formulated the first ever Flavor Balms. A truly delicious way to moisturize and nourish your lips the chemical free way. 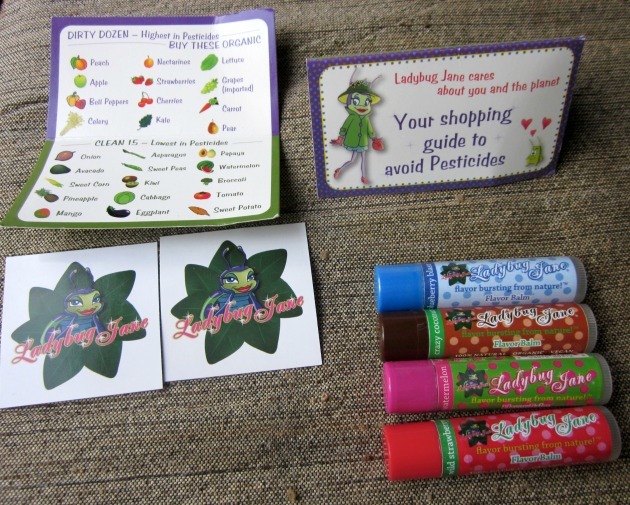 When I read about Ladybug Jane I was impressed by their eco-friendly mission to make fun and flavorful natural lip balms. They are very thorough in their mission to use only the best ingredients in Ladybug Jane lip balms so naturally, I was excited to try them. I love the idea of having lip balms kids can safely use and in yummy flavors that make them be still long enough to put it on them! We received four flavored lip balms kids and adults alike would enjoy: Crazy Coconut Lip Balm, Sweet Strawberry lip balm, Bubble Gum lip balm, and Bursting Berry Lip Balm. My son, my daugther and I all tried the organic vegan flavored lip balms. We all love them! They put a beautiful sheen on your lips and they taste delicious! Even my son loves putting them on. “Yummy,” he says in a very satisfied voice. They even work great for me after dinner to skip dessert on occasion and just use the flavor balms! They make my lips feel very smooth and soft and I love knowing what great ingredients I am putting on my lips! Visit Ladybug Jane Organic Balms and leave a comment with which flavor is your favorite! Do you think you will try these lip balms kids (and adults) will love for their delicious flavors and lip nourishing benefits? I just love the shine the Ladybug Jane lip balms give my lips! You may also like to try this easy homemade lip gloss recipe sometime! I was provided with the organic vegan lip balms in the hopes that I would share my honest opinions. I received no monetary compensation and the opinions expressed are my own.